Author Derek Sivers once said, “What is obvious to you is amazing to others.” From time to time, take a moment to remember that. You know things most people don’t. Don’t take what you know for granted. The next time you talk to a client and explain the law, their options, and your recommendations, note the depth of your knowledge, the alacrity with which you’re able to summon it, and your ability to communicate it. The next time you do a presentation, record a video or write an article, or you are interviewed, review the finished product so you can see how good you really are. You know things and you’re able to do things. You can quickly spot issues and form arguments for and against them. In a matter of minutes, you’re able to pull essential information out of a client or witness. Don’t discount your knowledge, your ability to explain things, or your ability to persuade people to your point of view. Unfortunately, many attorneys don’t appreciate their value. They charge less than they deserve and the market will bear. What is obvious to you is amazing to others. Don’t forget that. 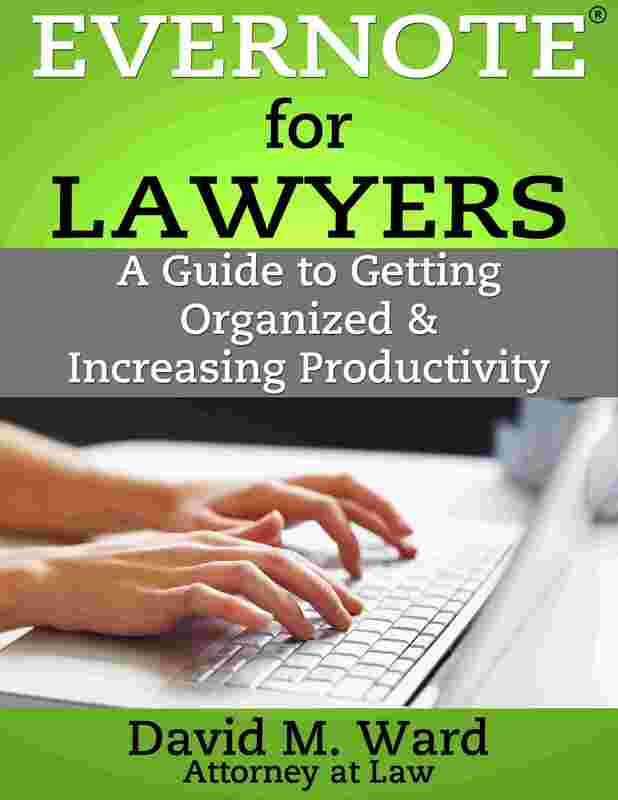 Will your law practice make you rich? I was reading one of “those” articles, you know, the ones that give you a list of reasons why certain types of people, habits, or beliefs are more conducive to success. This one was about what rich people do differently. One of the items on the list caught my eye because it’s something I did in my practice and something I preach in my sermons to you. When I began my practice, I charged by the hour and made a good income “per hour”. I earned a lot more, however, when I moved away from hourly work and focused on cases that paid contingency fees. It didn’t matter how many (or how few) hours I worked on a case. On more than a few cases, I earned the equivalent of thousands of dollars per hour. If you practice in areas that aren’t conducive to contingency fees, there are other ways to be compensated that aren’t tied to the number of hours you work. Charge by the matter, not by the hour. Ask for higher fees or bonuses for better results. Work with clients who offer equity instead of just cash. Hire more attorneys and earn the difference between what you pay them and what you bill the client. If you can’t do this, look for other opportunities, outside of your practice. Because you’ll never get rich trading time for money. Your prospective client balks at signing up for your $15,000 “Standard” package. What do you do? Show him why he needs it and why it is a good value? Show him your $9,000 “Basic” package? Show him your $22,000 “Deluxe” package? Show him the door because you don’t have any other packages? Some say that you should “drop down” to the lower priced package because it will appear more affordable next to the more expensive option you first showed him. Others say that if you do that, the prospect will be more likely to see the lesser-priced option as inferior and “buy” nothing. They say that instead of moving down in price, you should move up. Moving up in price, that is, from your $15,000 package to your $22,000 package will get the prospect thinking in terms of value instead of price, they say. If money is truly a factor for him, your $15,000 package may now seem more attractive. Clients are always concerned about price but they are more concerned about making a mistake. If they can afford it, they would rather pay more and make the right decision. It’s not just the price that’s important, it is the perceived value. A more expensive option that includes a lot of “nice to have but not essential” elements is different than a package of “critically important” elements, which is different than a package of “important but can wait” elements. What you should do depends on what you’re offering and what other options the client has, i.e., other lawyers, waiting. Try both strategies (higher then lower, and lower then higher) and see which one works best. If the client still can’t decide and is ready to walk, having an undisclosed third option ($9,000/Basic) might allow you to save the sale. In some circumstances, it might be best to offer all three options to the client right from the beginning. How’s that for a lawyer-like answer? One thing is certain: not having at least one other option should never be an option. Always have something else to offer a would-be client because showing them the door isn’t a good option for either of you. Who says you have to charge all clients the same fees? I’ve had penthouse offices on Wilshire Blvd. in Beverly Hills. I’ve also had storefront offices in not-so-nice parts of town. I charged different fees at each office for the same services. And why not? Why not charge more at the office with higher overhead and nicer furniture? Why not charge what the market will bear? What about clients in the same office? Can you charge some clients more than others? If a client gives you a ton of work, why shouldn’t you give them a break? If you provide elite services to some clients who are willing to pay a higher fee, why shouldn’t you? Insurance defense firms and firms that handle subrogation and collection charge less per matter because of the volume of business they get, less than they would charge if you walked in with a single case. Living trust mills hire outside lawyers to do the legal work. The lawyers earn less per client than they charge their regular “retail” clients. By the way, you could do something similar no matter what your practice area. Joint venture with an attorney in a lower-end part of town who doesn’t provide the services you do. He brings in the clients, you do the work, and maintain your other office where you charge higher fees. Anyway, people pay different fees for the same goods and services every day. Ever buy a hot dog at the ball park? Clients will pay different fees, too, because they’re willing to pay for convenience or prestige, or because they like and trust you and don’t want to go anywhere else. How could you charge more (or less) for your services? I buy a lot of books. I also download a lot of free Kindle books. Many free books are excellent. Most are not. And since you “pay” for books not just with money but with the time it takes to read them, paid books are usually a better value. There are exceptions. Some great books are free because they are on a promotion. Some paid books are over-priced because you’re paying a premium for the author’s celebrity or the higher costs associated with being published by a major publisher. But when it comes to books, you generally get what you pay for. How about when it comes to hiring a lawyer? Many clients believe that better lawyers charge higher fees because they’re better lawyers. They have more experience, greater skills, and deliver better results. Clients are willing to pay more for that experience and those results, and fear they won’t get them if they hire a lawyer who charges (a lot) less. Sure, many clients don’t appreciate this distinction and will opt for the lowest fees. But unless you operate a “discount” law firm (and you shouldn’t), you should avoid these kinds of clients. Some lawyers take advantage of the “perceived value” concept and charge more than they’re worth. But I find that more lawyers charge less than they’re worth, less than the market will bear. Most lawyers don’t raise their fees, or raise them high enough or often enough, fearing they won’t be able to compete. When most of your competition does the same thing, it drags down everyone’s fees. Most lawyers charge what other lawyers charge because they’re doing what everyone else does. They offer the same services and do nothing to give clients a reason to choose them instead of their competition. 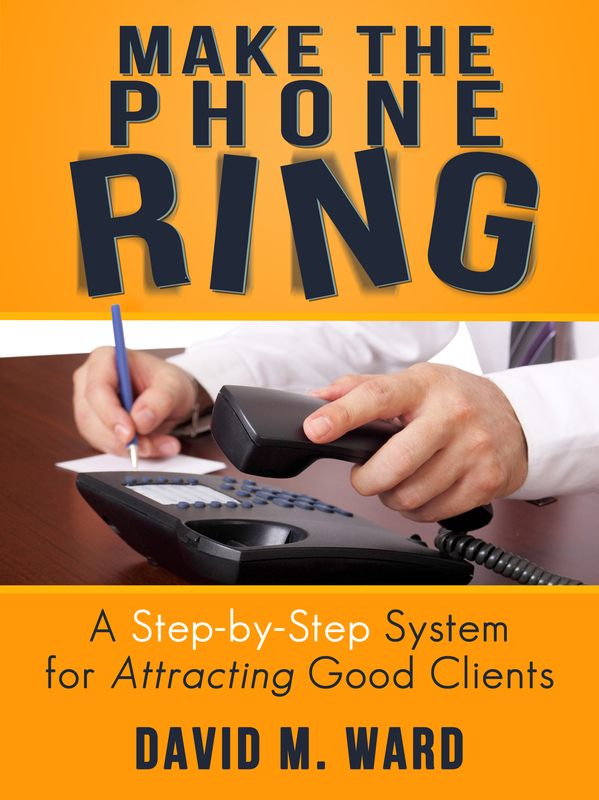 Show prospective clients that you are better or different and you won’t have any competition. You’ll be able to charge what you’re worth. It’s called differentiation and it’s the key to marketing your services. There is a very good chance that you’re not charging enough for your services. By enough, I mean the amount your services are worth and what good clients would be willing and able to pay. Why do I make this assumption? Because when I consult with lawyers and we talk about their fees, almost all of them are on the low side. That, plus recent surveys which show that two-thirds of solo lawyers earn a gross income of less than $200,000 per year and 28% earn less than $100,000 (again, gross income), tell me I’m right. 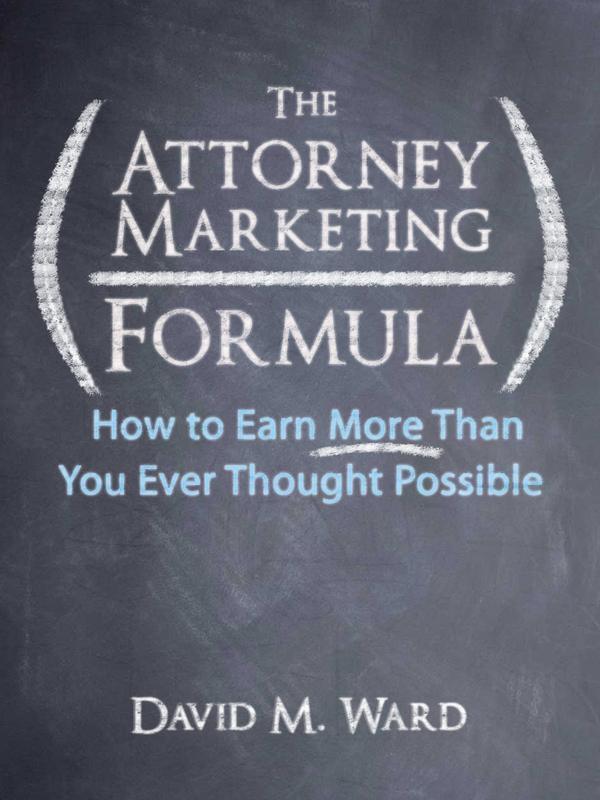 If you have been following me for awhile and have moved away from offering the same basic, “commodity” services most lawyers offer, in favor of higher-level, better-paying work, you’re offering more value and you should be paid for it. How much more? Perhaps double or triple. It’s exciting to think about doubling your income without doing anything more than increasing your fees. But you might be afraid to do it, thinking that most of your clients would leave. Don’t let that fear stop you. You can minimize the risk of a wholesale exodus by doing it over a period of years. Any clients who leave would make room for new clients who will pay your higher rate. If you increase your fees by 20% per year, in five years your income will double, not including compounding. Too much? Too soon? Okay, start by charging new clients the higher rate. Once you’re comfortable with this, once you see clients are still signing up, you can begin phasing in higher rates for existing clients. Look, I’ve seen lawyers (and accountants) who haven’t increased their fees in ten years. That’s not a professional practice, that’s a charity. You are entitled to charge what you’re worth and what the market will bear. You don’t have to settle for less. Is it okay to charge some clients less than others? In fact, sometimes it makes sense to give some clients free services, but that’s a subject for another day. Be careful, though. You don’t want your other clients to find out that some clients pay less than they do. Unless you do want them to know. If you want all of your clients to know they’ll pay less if they always pay on time, for example, then spread the word. Another way to look at this subject is to charge more for clients who aren’t on this list. If they are slow-payers, for example, they pay a higher rate. The point is, you don’t have to charge every client the same amount for the same work (unless there’s a law or a bar rule that says you do, in which case you should think about moving). 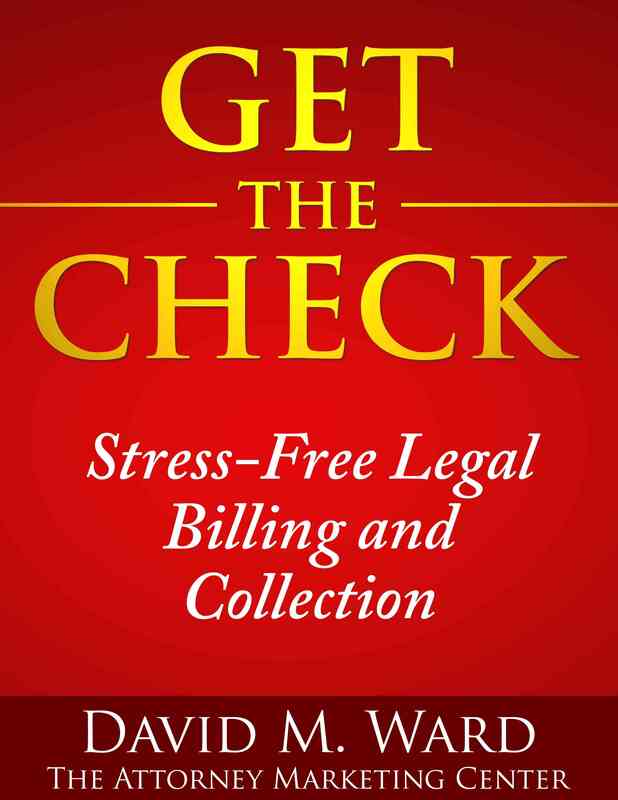 Go through your billing records and client list and see who might warrant a lower or higher fee. If you give prospective clients too many options for hiring you, you risk confusing them, and a confused mind usually says no. If you only give them one option, however–hire you or don’t–you may lose them for other reasons. The objective is to find a balance between too many options and not enough. Take a look at each of the services you offer. Are there too many choices? Are you confusing them with variables, add-ons, upgrades, and optional services that make it difficult to choose? If so, look for ways to simply those options. Aim for clarity. Make it easier for them to decide. If you don’t offer any options, however, if you give them a choice between “A” or “nothing,” look for ways to provide them with a second option. Something that adds value without adding confusion. Let them choose “A” or “B” because whichever one they choose allows them to get the benefits they seek, and allows you to get a new client. Sometimes, a third option is warranted. Should you offer it as option “C” along with the first two options? Should you hold back and offer it later? Or should you include it as a free bonus for choosing your higher priced package? The answer is: I don’t know. And neither do you. You could look at what other lawyers offer. You could conduct surveys and see which option prospective clients say is the most attractive. You could “go with your gut”. But the only way you’ll know for sure is to offer different options it to prospective clients and see how many sign up. If you’re still not sure, start with two options. Price the second option higher than the first, but not a multiple of the first. $3,000 and $4,000, but not $3,000 and $10,000. If you charge by the hour and you don’t offer any flat fees or packages, look for ways that you could do that because more clients will sign up when they know in advance how much it’s going to cost. I heard from a PI lawyer who had referred a case to another lawyer and was supposed to get one-third of the fee. When the case settled, the referring lawyer heard about it not from the lawyer who settled the case but from a friend of the plaintiff. Even worse, the plaintiff had another accident 4 months later. The same firm handled that case, which settled for $200,000, and they never told the referring attorney about it. When he finally spoke with someone at the firm about the second case, the referring attorney was told that they don’t pay referral fees on “second generation cases/referrals”. He asked if I think he’s entitled to a referral fee on the second case. My take? In equity, maybe. In law, probably not. In the world of commerce, where screwing your referral sources is a great way to kill referrals (and your reputation), I think they should take care of you. But they’re PI attorneys so I won’t hold my breath. The bigger question is what to do to protect your referral fee in the future. Two things. First, you need to have a written agreement that specifies what you get, not only on the original referral but on subsequent cases with the same client. 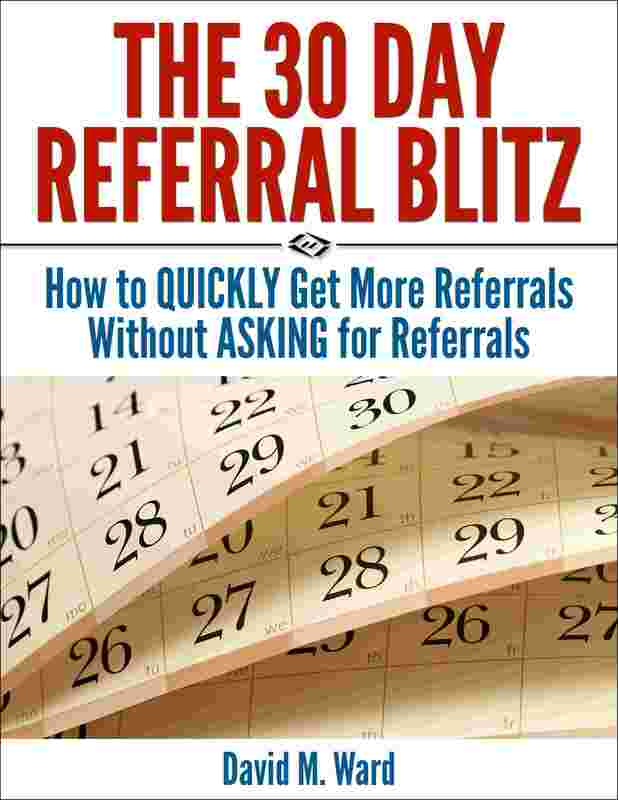 Get this signed before you make the referral. To be enforceable, it probably has to have reasonable limits (like a non-compete agreement), something like subsequent claims within two years of the original injury. (I’d also ask for a fee on any referrals from that client during the same period.) Ask around, find out the standard in your community. And be prepared to negotiate. Second, your agreement should specify that you have a lien interest in these cases, and you should so notify the insurance carrier and/or opposing counsel on the first case. That way, when the case settles, your name will be on the check and they have to come to you to get your endorsement. Your agreement can also specify a lien interest (and attorneys fees if not paid) on subsequent cases, but if you don’t know about those, it’s not as easy to protect your referral fee because you have nobody to notify of that interest until after the fact. Still, better than nothing. And without an agreement, nothing is what you’ve got. Hey, I’ve been there. I’ve referred cases to other lawyers and was screwed out of a fee when they settled. You live and learn. My last piece of advice? Stay in touch with the client. Because you want him to tell you when he has another case, or he has a referral. Be his “personal attorney” for life. His advisor. The conduit of all of his legal matters. Think “clients, not cases”. 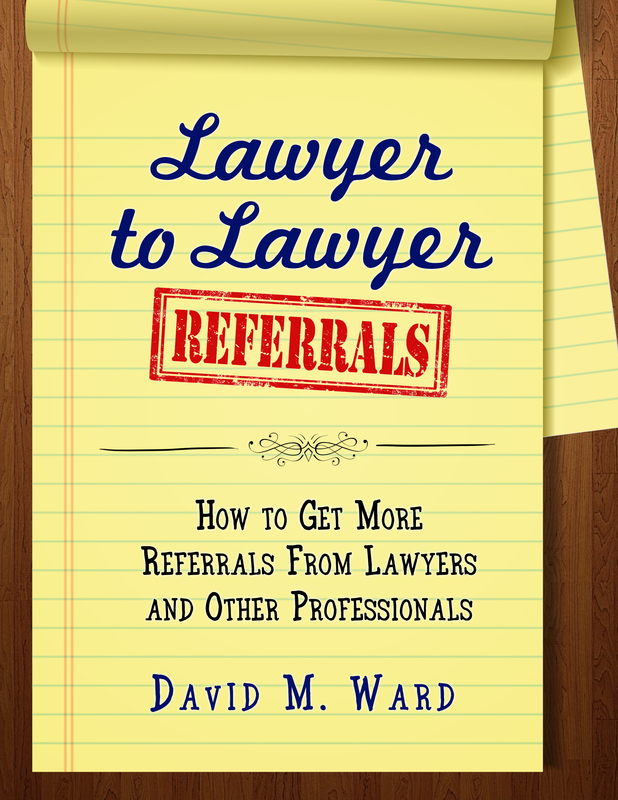 And think about the referral as, “bringing in another lawyer,” not “referring out” to another lawyer. I’d love to hear how other lawyers handle this subject. Please post in the comments. I don’t buy a lot of clothing but when I do I favor quality over quantity. One reasonably expensive suit not only looks better than its cheap counterpart, it lasts longer, too. The same goes for dress shirts and shoes. An article I read this morning agrees with me. It says that cheap clothes ultimately cost more and recommends buying quality instead. The same can be said for cheap legal services. You don’t want people to hire you because you’re cheaper than the other guys. You want them to say, “He costs a bit more but he’s worth every penny.” And you want them to know why. You want people to understand the risks of hiring an attorney solely because they charge less and the benefits of hiring a high quality albeit more expensive alternative. Most people have a difficult time discerning this difference so it is important that you educate them. Help them to understand that cheap legal services are usually too expensive. On the other hand, the smart play in marketing your services isn’t to target the masses and educate them about this difference. It is to target that segment of the market who already know this and are willing to pay more to get more. Target the top 20% of your market and show them a lawyer who costs more and is “worth every penny”. Most attorneys don’t do that. They target the bottom 80% of the market and while they might not overtly compete on “price,” it’s obvious that being competitive on fees is baked into their essence. You don’t need to be the most expensive lawyer in town, but you should at least be in the top one-third. And make sure you’re worth it.